Hello! Thanks so much for stopping by. I'd love to chat and find out just how I can capture your story for you. Please fill out the form and I'll get back to you within 24 hours. Have a fabulous day! Tell me a little bit about how I can help you tell your story! 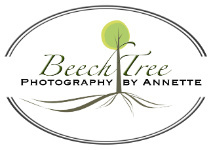 Thank you for contacting BeechTree Photography!! Thanks so much for visiting my website and contacting me. I'll be in touch with you within 24 hours. I'm looking forward to hearing your story!